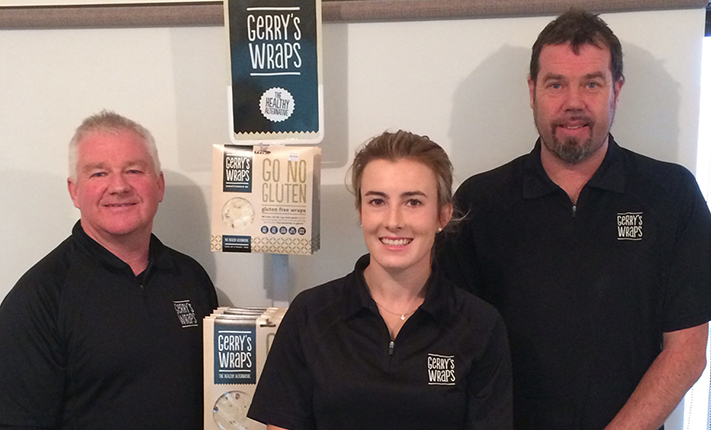 World-Champ-Canoe-Racing-Hopeful Danielle Currie with Employers Lance McCarthy (left) and Gerry Barrett of Gerry’s Wraps, both of whom will be cheering on from the sidelines in New Zealand. Cantabrian Danielle Currie will compete at next month’s ICF (International Canoe Federation) Junior and U23 World Championships in Szeged, Hungary as part of New Zealand’s team. Champion Kayak Sprinter Danielle has been chosen for the U23 team that comprises fellow Cantabrian Lucy Johnson and Auckland-based athletes Kayla Imrie and Kim Thompson. Danielle’s coaching and on-water support is provided by Canoe Racing New Zealand, while some off-water support comes from High Performance Sport New Zealand (HPSNZ), including via the Prime Minister’s Scholarship programme. Danielle has been awarded a Prime Minister’s Athlete Scholarship this year. HPSNZ also provides Danielle with free access sports-health services including physio and doctors’ appointments. New Zealand’s team leaves on Sunday for Czech Republic, where they will train and acclimatise for a month before competing at the Championships in nearby Hungary on 17-21 July.